What Do You Use To Detail Your Maxima???? Re: What do you use to detail your maxima???? Moved thread to better location. Fill a large bucket with warm or cold water mixed with an ounce (or the recommended amount) of liquid car wash. Always put the car wash in the bucket first then add water to achieve a good amount of suds. 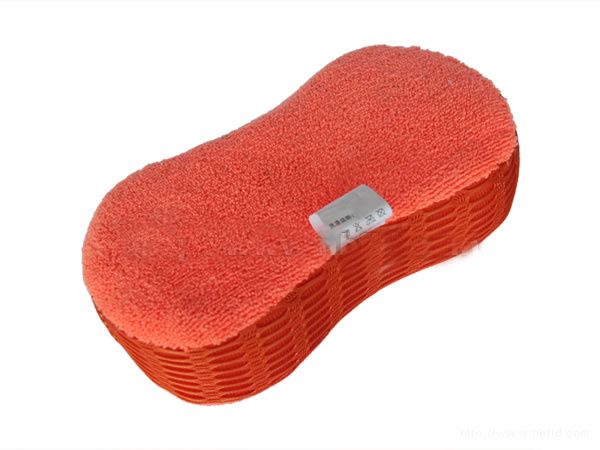 Use a quality sponge or soft rag to wash your car. 2. Hose down the car. You must use a lot of water so as not to scratch the paint. I like to start at the top of the car and work down. 3. Start on one side of the car. Use the saturated sponge or rag on the roof then work your way down to the windows then the door panels until one side of the car is completely washed. Make sure to saturate your sponge frequently. Be sure to pay extra attention to the lower panels and wheel wells where most road dirt accumulates. Continue washing, next going to the hood and the other side of the car and finally the trunk. Go over the car a second time if necessary. 4. Using a good hose nozzle, rinse thoroughly. Do not use a high pressure nozzle that could chip away paint. Be sure to rinse the wheels (rims) also. I like to dry all the windows and glass first, then dry the roof, hood, trunk and finally the sides of the car. 6. Tire prep. Dry the tires with an old cloth or paper towels. Use a tire shine product. Apply according to the instructions. Use a good car wax. Most all brands will do a decent job. Name brands are a little more pricey but may last longer. 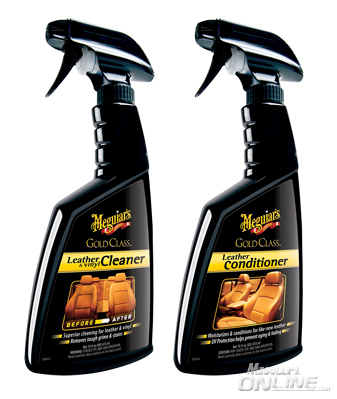 I like Maquires liquid wax. Always wax your car in the shade. Start on the roof, doing small sections at a time. Apply the liquid wax using the applicator sponge or better yet use a soft cloth. Use circular motions applying the wax to one section of the roof. I like to divide the roof into four quadrants, waxing each quadrant at a time, until the roof is complete. Use a soft terry cloth towel to buff out the wax, again use circular motions until all residue has been removed, leaving a shiny slick surface. (Be sure to shake out your rag frequently during the buffing process.) Continue waxing the car using the same process. Next do the hood, then the trunk, then each door panel, etc. until all parts of the car have been waxed. Remember to do small sections at a time. Do not try to do large areas. The process is really easy and is not as time consuming as you may think. 1. Remove all floor mats and clutter including child seats, food wrappers, beer bottles , soda cans, dead bodies etc. 2. Wash the floor mats. (If they are rubber you can do this at the same time you wash the car) be sure they are 100% dry before putting them back in the car. Carpeted floor mats can be cleaned with any carpet cleaner and can actually be hosed down. Again, they must be 100% dry before placing back in the car. 3. Vacuum the interior seats and floor. Move the seats all the way forward to access the rear section, then move the seats all the way back to vacuum the front area. Use the crevice tool to get into small sections. 4. Clean the carpet if necessary. Use any good carpet cleaner. Make sure the carpet is 100% dry before placing the floor mats on top of the carpet. 5. Clean the interior windows. Make sure to use a window cleaner safe for tinted windows if your windows are tinted. Use a very soft cloth or towel to avoid scratching the tint. Drying the windows is very important to avoid streaking and smeared windows, that is most noticeable at night. 6. Leather seats. Just wipe them down with a damp clean cloth. If they have noticeable dirt, use a good leather cleaner. Finally condition the leather with a good leather conditioner. 7. Cloth seats. Vacuum completely. Use a good fabric or upholstery cleaner to spot clean stains. 8. Wipe down the dash and center console with a damp rag. For stubborn dirt or stains use a mild soap or cleaner, making sure it does not discolor the surface. NEVER USE BLEACH. 9. Clean out the trunk. Remove junk and organize. Vacuum the trunk. Under the hood. You can clean your engine bay very simply and quickly. 1. Make sure the engine is cold. 2. Use a spray bottle with a full strength degreaser. I like Super Clean. With the engine OFF, spray all sections of the engine bay liberally. Be careful not to over spray onto the body paint. Let sit for three or four minutes. Use a hose and rinse completely. I suggest doing this before you wash the car. Once it is rinsed, start the car and let it run for five or ten minutes. You can use an old towel to dry off exposed areas once the car is turned off. If the engine is extremely dirty you may need to repeat this process. *Some people may say this is controversial. I have always used this method to clean my engine on multiple makes of cars. I have never encountered a problem. The car always cranks immediately and all electrical functions work normally. Last edited by Thundershott; 03-15-2012 at 01:14 PM. Its ok to use dish soap if you want to strip your wax off and start again or if you're going to claybar. I used something called the Black Box. It's 20 dollars and is a two step waxing process. It turned out really well with my car. You can buy it at any Advance Auto Parts, Auto Zone, or Pep Boys as far as I know in their respective car wash sections. This stuff is amazing. 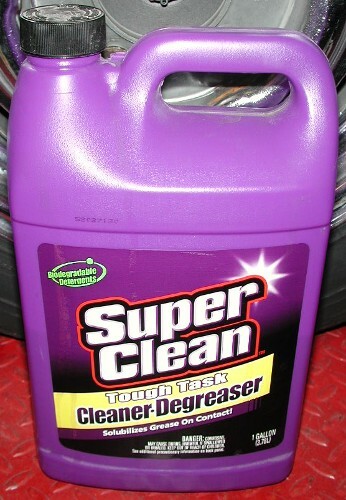 I had a black Mustang and I used this stuff, I couldnt believe how good it looked. Which reminds me! The car has to be black to use the Black Box. I have a black Maxima and just assumed for some reason when I posted that everyone else did too. I use a local detailing shop or I do what Thundershott said. Whatever you do, don't be like @EddyMaxx and take a date to the carwash and spend 4 hours cleaning your car. I use Mothers products. I claybar my car three times a year and wax it twice a year. meguiars is the way to go. As far as I know Meguires Wax products should be safe for all colors of automobiles. If you have any doubts or questions go to their web site or call them toll free. I also like Turtle Paste Wax. It's cheaper and provides excellent results. I start off by rinsing the car with water. Then I hit it with my Wolfgang foam gun with DP Xtreme Foam soap. In the springtime, I'll clay the car next. Wolfgang Deep Gloss Paint Sealant delivers a deep, wet, liquid shimmer unlike anything you can imagine. Once the car is coated in the sealant, I'll give it 30 minutes to an hour to "set-up". Then, I'll buff the sealant by hand using an assortment of micro-fiber towels. At this point, the car cannot get wet for 12 hours...this is how long it takes for the paint sealant to "cure". I will apply it by hand, and wipe it off immediately...one panel at a time. This is a very expensive wax, but it is absolutely the best that I've ever used. The car is then buffed by hand again, using an assortment of microfiber towels. I'll finish by applying some tire cleaner, and then some tire shine to my tires!!! Last edited by 1hawaii50; 03-17-2012 at 01:54 AM. I use Meguiar's wash n wax. And if I'm going to hand wax the car, I use Dawn dish soap to remove any old wax build up, grease or tar. Then I re apply a couple coats of fresh paste wax. That is some impressive equipment and products you use. More than$550.00 total retail. A good investment to maintain the exterior finish of a $30,000. Machine. Thanks! The FLEX machine is the absolute BEST!!! I went in "halves" on it with a co-worker, and we were sharing time...he ended up in a financial bind last year, and I bought out his half! That being said, I absolutely should have stock in Autogeek!!! If you ever have a little extra cash, pick up one of the small tubs of Wolfgang Fuzion...I guarantee you that you won't be disappointed!!! If you watch Autogeek's "buy-one-get-one-free" section, it will go on special a few times a year. That's how I got mine!! !